For some time now, there have been a lot of buzz about how the Bitcoin network can be scaled up to better cope with the budding competition from the likes of Ripple and Tron. Just recently, Bitcoin’s Lightning Network went live amid much pomp and big expectations. But there’s another company that’s bent on completely revolutionizing how Bitcoin really works. Blockstream is a company that majors in blockchain development projects, and it has been working on a new Bitcoin sidechain since 2015. After the company was founded back in 2014, it announced the start of The Liquid Network project in 2015. The project was officially launched in 2017 by Paycase’s Joseph and Mow Weinberg. The goal of the project is to facilitate easier liquidity operations between brokers and exchange platforms dealing in Bitcoin. Basically, Blockstream claims the Liquid Network to be a Bitcoin sidechain that enables faster transaction processing. It also comes with added advantages in data security and user confidentiality. This is the kind of operating environment that most people want, and that means that the network , and Bitcoin in particular, could reap the benefits in the near future. One of such benefits would be mass adoption and endorsement by various influential financial institutions. In fact, some very stable institutions are already using the Liquid Network. These include exchanges like Bitfinex, OKCoin, Six Digital Exchange, and BitMEX among many other major corporate institutions like Atlantic Financial, Bitmax, Crypto Garage, Bitbank, Altonomy, Unocoin, Buull Exchange, and Zaif. At the moment, the network is already accommodating about 23 companies. 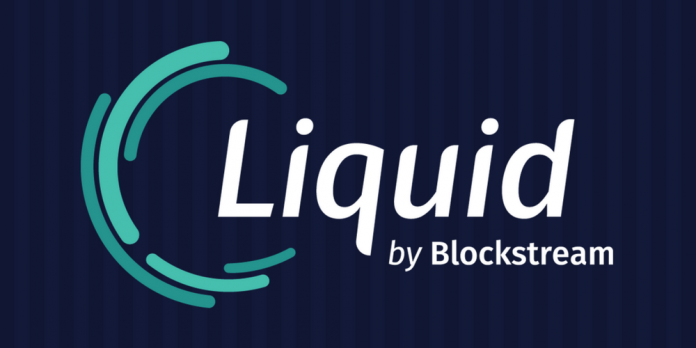 The Liquid Network works by allowing users to convert Bitcoins into the network’s native currency called Liquid Bitcoin (L-BTC) that’s pegged on the actual Bitcoin tokens. This, in turn, allows for faster transaction processing within the network while attaching the extra benefits of security and confidentiality. In that sense, the Liquid Network sounds great and pretty much welcome to many global financial institutions especially crypto exchanges. Besides launching the Liquid Network, Blockstream is planning to launch a platform-specific wallet that will be used only for Liquid transactions. Blockstream’s GreenWallet is the company’s Bitcoin address that also supports L-BTC. Trezor and Ledger, which are basically hardware wallet providers, are also planning to adopt the Liquid Network technology in their hardware wallets. Speaking to CoinDesk, Mow said that the network has the potential to handle a significant fraction of Bitcoin’s total transactions. Blockstream will continue to collaborate with various wallets and crypto exchanges to push for large-scale adoption of the new technology. Blockstream is the first ever company to develop a functional Bitcoin sidechain.